Red Pesto with Sunflower Oil, Basil, Tomatoes, Pecorino Cheese, and Garlic. 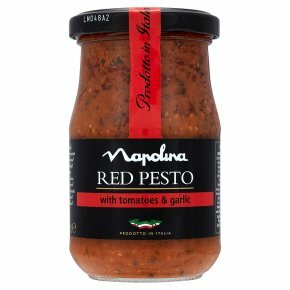 An intensely flavoursome pesto of tomatoes and garlic, blended with Grana Padana cheese. Perfect served simply with pasta and garnished with fresh basil leaves.